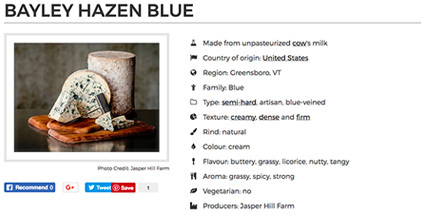 With 447k monthly visits, Cheese.com is a leading online database for speciality cheeses. They approached us with the aim of enhancing website traffic further and to come up with a strategy for future marketing opportunities. To re-position the Cheese.com brand as a fun and reliable source for everything cheese related, we designed a new logo, updated their website for a fresher look and updated website copy to help them create a brand personality that appeals to a wider range of demographic. 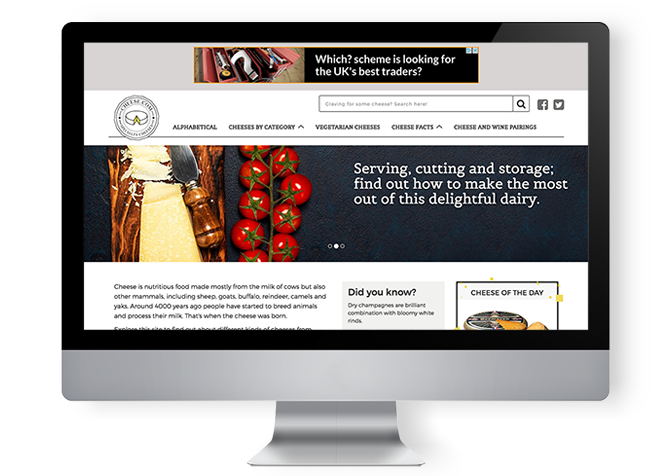 Utilising the new website design and copy, the strategy was to present Cheese.com as an informative reference site with a social element rather than just a database. Social sharing buttons were added and website copy focused on a feeling of fun to help craft their new brand personality. We are currently producing mockups for “Cheese Stores Near Me”, a feature that allows users to locate the nearest participating delis that sell cheese; and “Buy Cheese Online”, a feature that allows cheese brands to advertise their business. To showcase Cheese.com as a knowledgeable and fun cheese expert, we created a logo that is clean, stylish, and instantly readable. Times New Roman was chosen to maintain a level of seriousness and expertise, combining with a cheese graphic encased in a traditional stamp shape that brings fun to the brand with its ochre yellow. The contrast between black and yellow with a classic typeface helps the logo to become easily identified and scalable across multiple devices whatever the size. Sticking to white, grey, black and yellow; we wanted to create a refreshing and contemporary layout that allows the content to be easily found. We introduced a top navigation bar, interactive mouseover and iconography to improve UX. 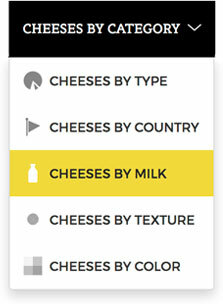 With a simple interface featuring clearly categorised pages and information, Cheese.com can be effectively presented as a cheese expert. Belgrano is used in the display carousel and navigation titles for a neat and contemporary statement while Montserrat is used as the body text for readability to enhance the presentation of rich information.